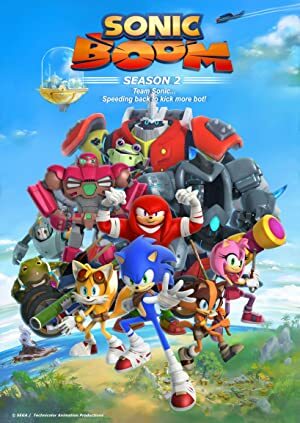 Sonic Boom – Season 1 (2014) – What's New on Netflix Canada Today! Sonic, the fastest and bluest hedgehog in the world, teams up with his animal pals to stop Dr. Eggman from turning their island into a theme park. Follows Sonic, Tails, Knuckles, Amy and Sticks as they fight the evil Dr. Eggman. When Tails gets injured in a battle with Doctor Eggman, Sonic holds auditions for a new sidekick to replace him. When his evil lair is undergoing repairs, Dr. Eggman crashes on Tails’ couch and proves to be a very difficult roommate. Tails invents a robotic universal translator. However, it also translates what someone is actually thinking while talking, so it unintentionally reveals the gang’s hidden thoughts and embarrasses them – and gives Dr. Robotnik an idea.